Northwest Legal Advocates, LLC serves officers directly and handles legal defense plans for FOP and PORAC, with its experienced law enforcement attorneys to assist you. As former prosecutors our attorneys have over 80 years of combined experience backing and supporting law enforcement and public safety officers. Public safety officers at times may find themselves at the center of criminal or civil actions, or as part of a critical incident investigation, and will need quality legal representation to protect their rights. 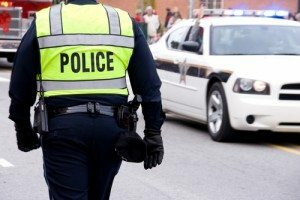 We understand that police officers and other public safety officials often face stressful and challenging situations in their work, and when your actions or decisions are being investigated you need a legal advocate at your side. You should not answer any questions, participate in any hearing or investigation without legal counsel. There are several areas where we can act as your attorney and make sure that the correct procedures are followed and your rights are protected. Our attorneys will respond immediately to the scene upon request from any officer involved in a critical incident to ensure their rights are protected. In a critical incident, the internal affairs department is mandated to investigate and determine whether there was any intentional or reckless action involved. We will protect your rights to a fair investigation and hearing, and ensure that the real facts are revealed. Because an unfavorable outcome could be life altering, this is an adversarial process where you need your own legal counsel at your side. In addition to internal investigations, the injury or death of a third party could trigger other types of legal actions. If the prosecutor’s office determines there was a criminal element, then you could be charged. Our attorneys have over 80 combined years experience as trial lawyers practicing criminal law. Our experience as prosecutors will assure you of a fair evaluation considering your role as a police officer. Suspects in an incident may file a civil suit for money damages in the event of injury or wrongful death, and in this case we will defend you against that type of claim. There are different standards of proof between civil and criminal actions, and Northwest Legal Advocates, LLC understands how to construct each separate defense based on the facts involved. Our experienced attorneys will pursue cases against people who harm officers. If you are hurt or injured we will work with you to sue suspects who have caused you harm. We will pursue restraining orders, seek to collect judgements and restitution owed to you. Our attorneys will work with you to ensure compliance with the victim rights act whenever you are a victim of a crime. We will advocate on your behalf as your personal lawyer in cases where you are a victim of a crime. Because of the possibility of multiple charges or actions being filed against you, it is essential to have an attorney who has a background in criminal and civil law, as well as internal affairs investigations. Northwest Legal Advocates, LLC can provide you with the legal representation that you need to protect your professional reputation, as well as mitigate any other type of legal liability. We understand how the statements and evidence gathered will be used in each unique legal or procedural forum, and will protect you from any infringement of your rights to due process and a fair hearing or trial. As a police officer under investigation, you need an ally who will listen to your version of events and advocate on your behalf. Our firm is committed to supporting the role of public safety officials, and we know that at times events are chaotic and unpredictable. If you have been accused of wrongdoing or unprofessional conduct, please contact our law enforcement lawyers as soon as possible so that we can begin to restore and preserve your reputation. Let Northwest Legal Advocates help you to resolve your legal isses. © 2018 Northwest Legal Advocates, LLC, All Rights Reserved. The information provided within this site is offered for informational purposes only. It is not legal advice with regard to any specific facts or situation.Reading this site, or contacting Northwest Legal Advocates, LLC through this site, does not establish an attorney-client relationship.